Oh my goodness!! You HAVE to come try the newest and latest concoction that we have whipped up for you guys!! 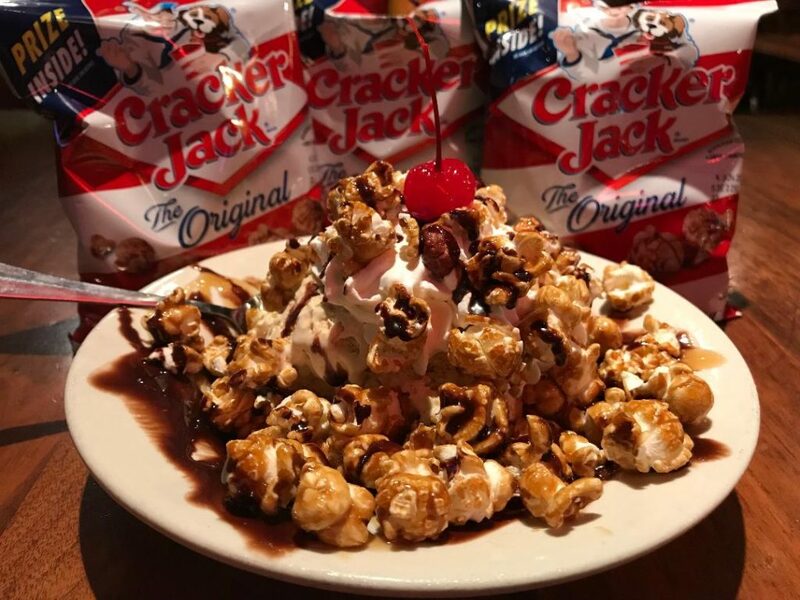 The new Cracker Jack Caramel Sundae is the best new thing since sliced bread yall! Even after the holidays and all the desserts this magical sundae tops it all. The Salted Caramel ice cream with chocolate and caramel sauce topped with Cracker Jacks (you read it right) Cracker Jacks and peanuts is so delicious. Of course there is fresh whipped cream and the perfect little cherry on top or else it wouldn’t be a sundae right?! I promise you this is will not disappoint. My mouth is watering already! 🙂 Oh I almost forgot!! The best part is that it is ONLY $5.50 and worth every penny! So make sure to get down to Crabtown in Bricktown or Trappers on Reno and try this delight today! !